After our Summer Family party, we decided that we would take a break until 2018 to start planning our next event. We are a team of two and with full-time jobs + a families to take care of, organizing another event felt like too much on our plate... Well, after just a couple of weeks off, we were itching to start planning something new! Being in touch with our Mexican culture is very important to us and teaching our daughter's about customs and traditions is a big part of our lifestyle so we decided on a Dia De Los Muertos Celebration. We hit a few snags and had to change our location two weeks before the event. It was so disheartening and we almost thought about canceling the entire thing! Planning an event can be so stressful but in the end, it's what we love to do. Our Dia De Los Muertos celebration was a success and we are proud of ourselves for accomplishing to organize a beautiful event for our community. 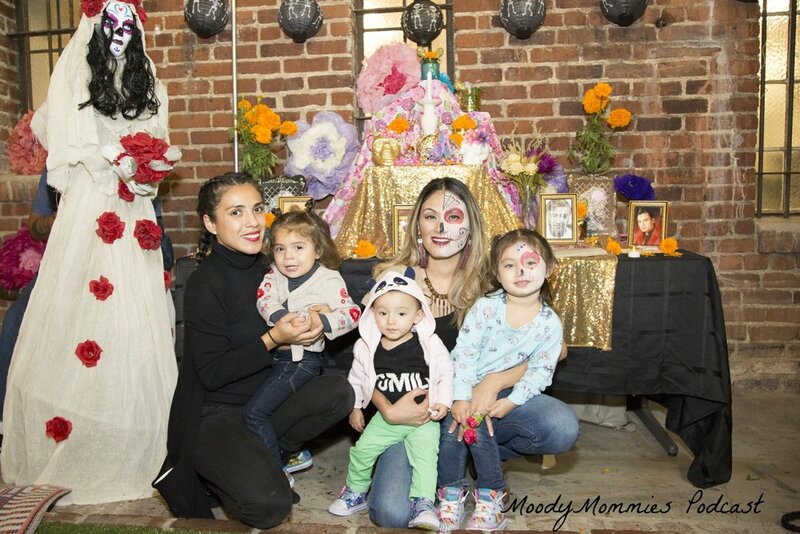 We loved seeing our Los Angeles families, vendors and mompreneurs come together for a night of honoring the dead. We want to thank the vendors, our venue- With Love L.A, our loyal mamacitas and those who came to meet us for the first time for attending our Dia De Los Muertos celebration. Check out Jan's Spring blog for more pictures of the activities! Our guests enjoyed complimentary face painting, hair braiding, arts and crafts, a DIY flower crown station and more!